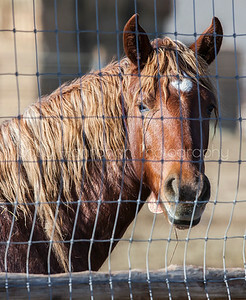 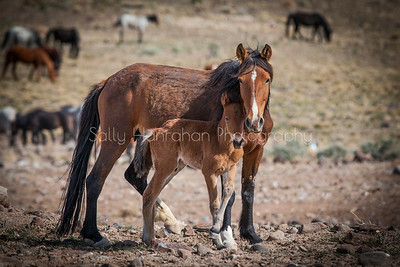 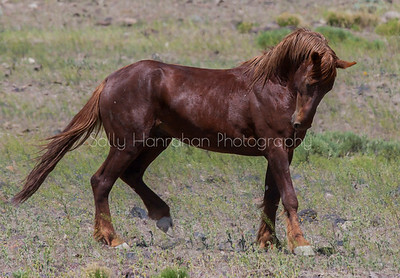 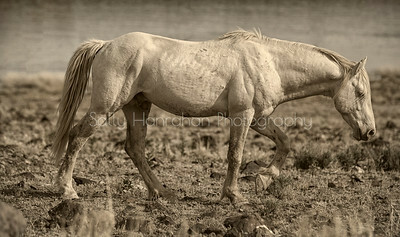 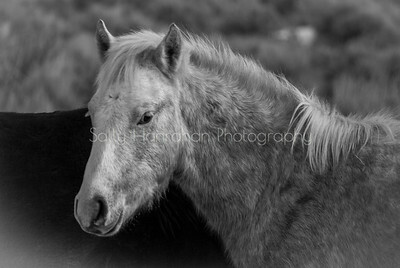 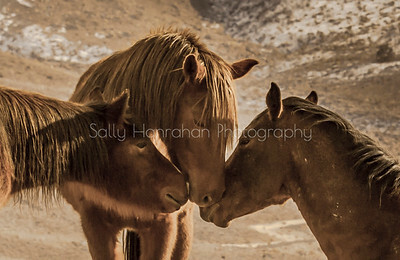 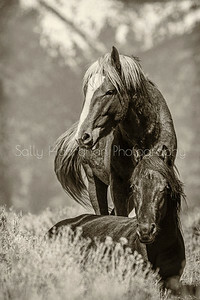 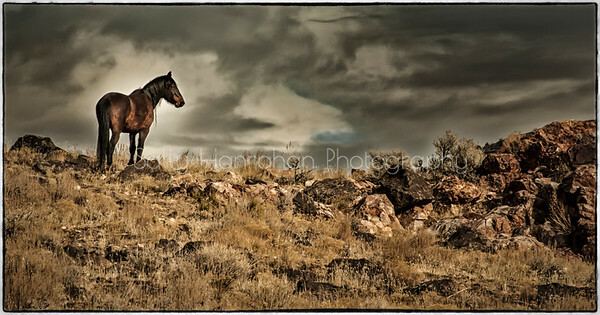 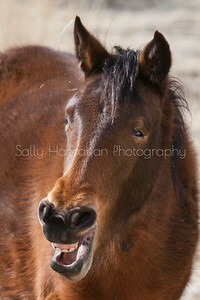 "In the spirit of the old west, my goal is to capture through the lens, the wild mustangs of Nevada with the belief that through exposure we will strive to be better educated in the preservation of our states most beautiful and enduring Icon". 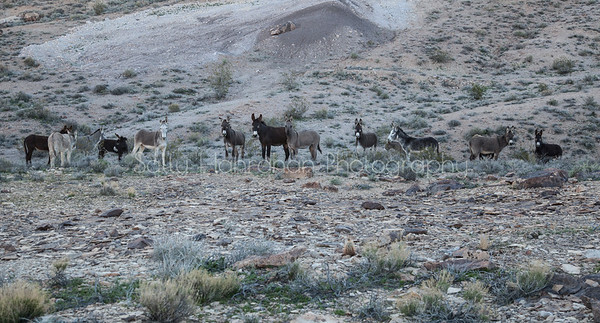 A band of wild mustangs stop to check me out. 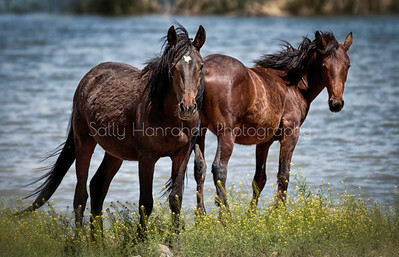 A herd of wild mustangs forages for something green in the mid summer drought. 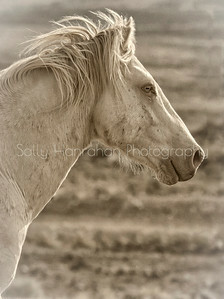 How Bout my Left Profile? 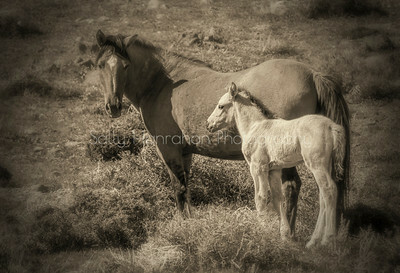 A new foal sticks close to Mom. 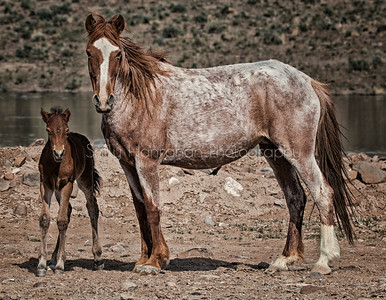 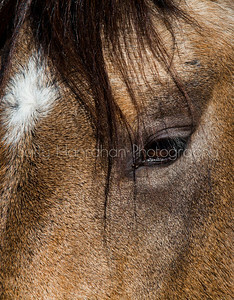 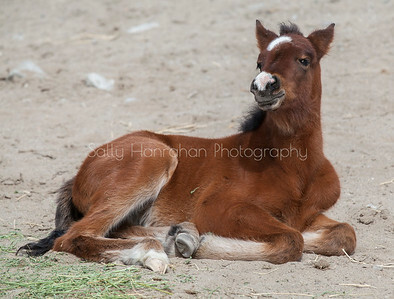 A stallion keeps an eye while his mare and foal feed out of site. 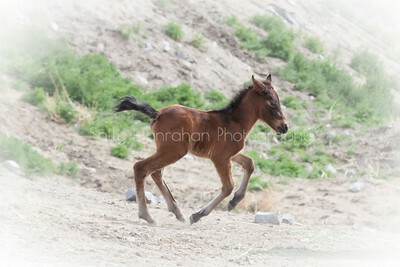 A young colt runs on his new legs and tries to catch up with Mom. 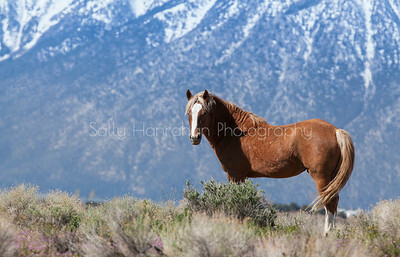 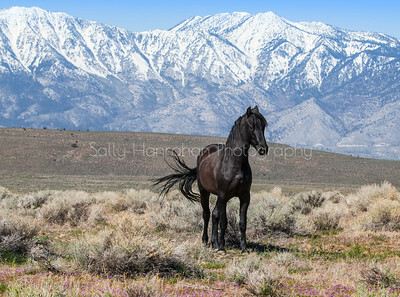 Black Beauty stands as if she owns the snowcapped Sierra Nevada Mountain Range.